Originating from the Indian subcontinent, Momordica chanrantia or bitter melon is a vine which is widely distributed and grown in Caribbean, Africa and Asia. This tropical vine is commonly used medicinally wherein Momordica’s different parts are processed into brews and teas, tinctures, extracts and juices, powders, and capsule. These health supplements offer amazing health benefits, which we’ll delve into a little. Most-promising of all are clinical trials and medical studies of the medicinal use of bitter melon are those showing how effective this fabulous fruit is in the treatment of blood disorders. Bitter melon, as its name implies, tastes quite bitter. However, its health benefits are numerous and thus it should not be overlooked just because it may have an unpleasant taste. There are many ways to consume bitter melon, be it as a vegetable in a dish or as a tablet supplement. Bitter melons look nothing like regular melons. Their shape is probably closer to that of an eggplant, but with green and wrinkled skin. As the bitter melon originated in Asia, particularly in the Indian subcontinent, many Asian countries have at least one dish that makes use of it. Asians have also been using the bitter melon in many of their traditional medicines, using it to treat various ills such as respiratory and skin diseases. As a rather well-known Asian food, bitter melon is known by many names, varying by country: peria (Malaysia), nigauri (Japanese), kugua (Chinese), mara (Thai), ampalaya (Filipino), yeoju (Korean), paagharkaai (Tamil), and so on. In the English language, the bitter melon is also known by several names: bitter squash, bitter gourd, wild balsam apple, balsam pear, bitter apple, carilla gourd, wild cucumber, and others. All throughout the different parts of the world, it is also referred to as ampalaya, karela, kor-kuey, peria, salsamino, melón amargo, cundeamor chino, balsamina, bejuco condeamor, cosquelite, sorci and sorossi. One of the many names that bitter melon is known by is vegetable insulin. By that alone, it can be inferred that those who would stand to benefit the most from bitter melon are people who suffer from blood disorders. Those with high cholesterol and kidney stones can also find relief in consuming bitter melon. For those who simply want to improve their skin and weight, bitter melon also has something to offer. Bitter melon, Momordica charantia is also known as bitter gourd and bitter squash. In other languages, it is known as goya in Okinawan and karela in Sanskrit. Bitter melon belongs to the Cucurbitaceae plant family in the Plantae kingdom. Aside from being used in Ayurvedic, traditional Asian, and Western medicine, bitter melon is a vegetable used in curries, stuffed with food, and is sliced and fried. Even pickles, flakes, and soft drinks are prepared with the use of bitter melon. During the 15th century when African slaves first came to America, medical therapies and resources were limited. They had to make do with their herbal folk remedies. Such traditional beliefs and cultural practices were based on accumulated experience dealing with ailments and medical conditions that were treated by their African ancestors. These all-natural alternative health practices are known for being quite effective as holistic treatment of the body. One such traditionally-utilized plant is bitter melon. About 500 years ago, African slaves made use of herbs like this one without knowing how beneficial they were. At that time, bitter melon was used to treat maladies like malaria and blood disorders. 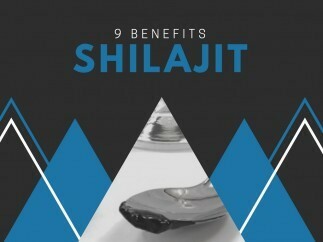 However, they did not know which of its ingredients were responsible for these benefits. Today, technology has advanced and scientists and researchers can now identify the substances in bitter melon that make it highly beneficial. Aside from blood disorders, bitter melon is also being studied to treat diseases like disease, leukemia, and many other medical conditions. Bitter melon is a subtropical and tropical vine that is grown widely in the Caribbean, Asia, and Africa. It is cultivated for its edible, bitter fruit and used for both culinary and medicinal purposes. Bitter melon is native to India and was introduced to China in the 14th century. For medicinal purposes, the Momordica fruit itself as well as the leaves (for tea) are used. The vine grows up to 16 feet (5 meters) in length and bears alternate, simple leaves with 3-7 lobes that are deeply separated. Each plant has separate yellow female and male flowers. Flowering in the Northern Hemisphere occurs from June-July. The vines bear fruit from September to November. When bitter melon ripens, the rind becomes bitter and tough, which many find distasteful. Conversely, the pith turns red and becomes sweet and is used in several Southeast Asian salads. As the fruit fully matures, it turns mushy and orange, and splits into sections that dramatically curl to expose seeds encased in red pulp. In Ayurveda, bitter melon possesses a bitter taste, which can help balance the kapha dosha. The fruit is also valuable for its use in the kitchen as a nutritious vegetable. The fruit is cooked and consumed in the early yellowing or green stage. The young Momordica leaves and shoots can also be eaten as greens. In China, bitter melon is used in soups, stir-fry dishes, dim sum, and teas. In India, Momordica is often served with yogurt to offset the strong bitter taste. Bitter melon is also widely used in the cuisines of Nepal, Sri Lanka, Pakistan, Indonesia, Thailand, the Philippines, and Vietnam. Despite its wrinkly appearance and bitter taste that may be off-putting to some, bitter melon, Momordica charantia is actually good for ­one’s health. All one needs to do is get over the bitterness to enjoy its benefits. 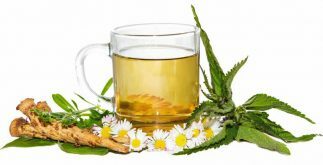 It’s natural bitterness might not be your cup of tea, but you might change your mind once you learn about Momordica’s numerous health benefits. Lowers the level of blood sugar in the body. Lowers cholesterol level of the body. 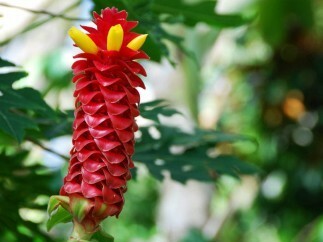 Is used for treating diarrhea and fever. 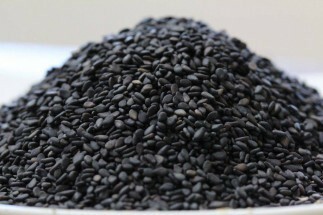 Is used for treating haemorrhoids. Is helpful in the treatment of glaucoma. Relieves spasmodic pains of the large intestines. Is helpful in treating blood disorders. Is used to treat respiratory disorders. 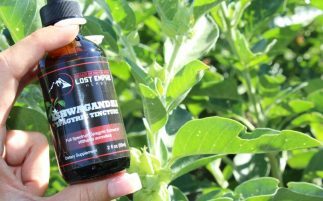 Helpful in the elimination if worms and parasites. Kills bacteria and viruses; eliminates disease cells. Is used to treat skin fungal infections. 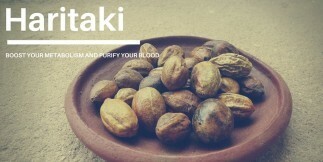 Can be used to cure malaria, measles and skin problems. Enhances libido and improves sexual desires. Is characterized with anti-inflammatory effects. Cleanses the blood; detoxifies the body. blood disorders Bitter melon, Momordica charantia is one of the most powerful fruits to manage blood disorders. The fruit contains charantin, which is an insulin-resembling peptide. When combined with healthy alkaloids and insulin-like peptides, theses substances are effective at reducing blood sugar levels. Bitter melon also helps prevent insulin drops and spikes by regulating the use and metabolism of sugar that the human body has taken in through food. Since it is a potent hypoglycemic, bitter melon should not be used with different blood sugar-lowering medicines, as it may lead to dangerously low sugar levels. Momordica is developed as capsules and powders which are used in treating blood disorders. disease Bitter melon’s antioxidants may help identify and destroy free radicals that may lead to disease. Scientists have been studying bitter melon as an anti-carcinogenic and anti-tumor agent. Studies have shown promising correlations between the consumption of bitter melon and the reduction and prevention of tumor growth for breast, prostate, and cervical disease patients. This may be because of its ability to induce cell death (apoptosis) in disease cells. More studies, however, are still being conducted to learn more about the Momordica fruit’s anti-disease properties. Recent studies has shown that the young fruit may have antiviral, antibiotic, and antidisease properties especially for treating Malaria and HIV. Furthermore, Momordica’s a great help in treating various skin diseases including Psoriasis, a disease that shows red patches on the skin. Bitter melon has been shown to lower blood sugar levels by increasing the metabolism of glucose. This is very beneficial for those suffering from blood disorders, particularly type II. A compound similar to insulin, polypeptide-p, is also found in bitter melon. For those suffering from kidney stones, bitter melon helps break down the acid that is the primary cause of the stones’ formation. At first, bitter melon may seem like an unpleasant option, but its benefits far outweigh its only negative: taste. Bitter melon also does not necessarily taste bitter or unpleasant, provided it is prepared well. Simply take a look at the many Asian recipes that make use of this wonder vegetable, or maybe even experiment on your own to start gleaning its many benefits. Momordica is also capable of eliminating worms and parasites that may infect the body. In addition, it eliminates bacteria, viruses and disease cells. And finally, it has the ability to cleanse and detoxify the body. 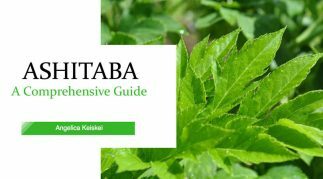 The benefits you might get in using Momordica would certainly make you forget about its bitterness. You will only think of the sweetness of better health! Where can I find or purchase it? Your picture of bitter melon is inaccurate.Bitter melon is a green fruit with a soft bumpy surface. It is picked and eaten while green but if left on the vine , will ripen to a red or orange shade . You can find the green fruit in chinese food markets.